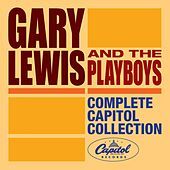 Gary Lewis doesn't have the bizarre, quavering voice of his father, famed comedian Jerry Lewis. Instead he possesses a completely innocuous set of pipes and had perhaps the most unaffected, "just an average joe" voice of the 1960s. 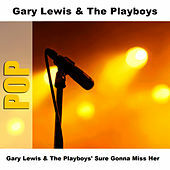 But famed producer Snuff Garrett hooked Lewis and the Playboys up with a host of great songs and helped take their snappy, upbeat sound to the top of the mid-1960s charts. They had a long string of hits, yet their shelf life was shorter than Nancy Sinatra's miniskirts, and the old tunes aren't played much on oldies radio. Nonetheless these guys rocked pretty hard -- think of them as a button-down, non-greasy version of Garage Rock.